be one of the first people to hear about stock arrivals and great offers! Macolour Sweetlips, Queen Wrasse, Blue Throat Trigger and Blue Trigger feeding at Aquahome Aquatic Centre. This entry was posted in Marine Fish, New Arrivals on September 21, 2013 by admin. A pair of Addis Butterflies and Slingjaw Wrasse feeding at Aquahome Aquatic Centre. Please do check out our brand-new newsletter from Aqua home. We will be doing regular monthly newsletters with great offers in-store from aquariums to great offers for different products! We will also be giving lots of tips and techniques and a tank of the month competition. Please click here to see the September newsletter. This entry was posted in Recent news on September 9, 2013 by admin. Please check this video of a excellent specimen Snowflake eel feeding. This entry was posted in Marine Fish, New Arrivals, Recent news on September 7, 2013 by admin. Bitterlings are peaceful, short lived species, generally surviving only around 5 years. Their maximum size is 11cm but they usually grow much smaller. 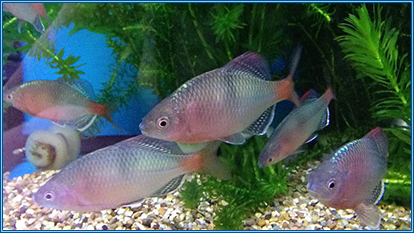 Their diet is mainly omnivorous and they are a great addition to the coldwater aquarium and are also popular in the koi aquarium as they can feed of the parasites which infect koi. When they mature they develop either a pink or blue hue at the base of their caudal fin. An ideal aquarium is around 100 litres with lots of plants, either real or artificial with plenty of hiding spaces and need to be fed a variety of foods including vegetables as well as some meaty foods. A good quality flake food as well as freeze dried, live or frozen foods is ideal. 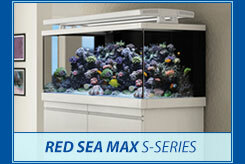 This entry was posted in Red Sea Max S Series 650 on September 7, 2013 by admin.